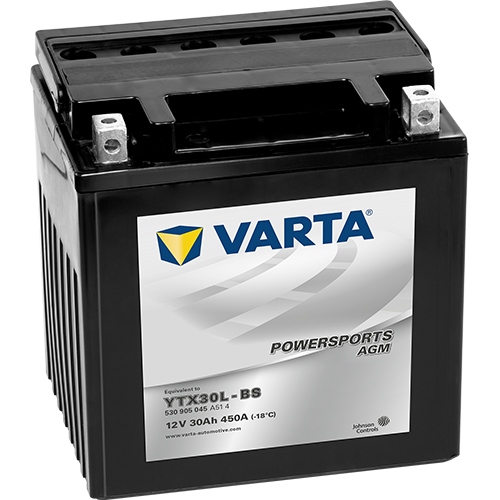 VARTA Powersports batteries deliver the power you need – no matter what vehicle or terrain. 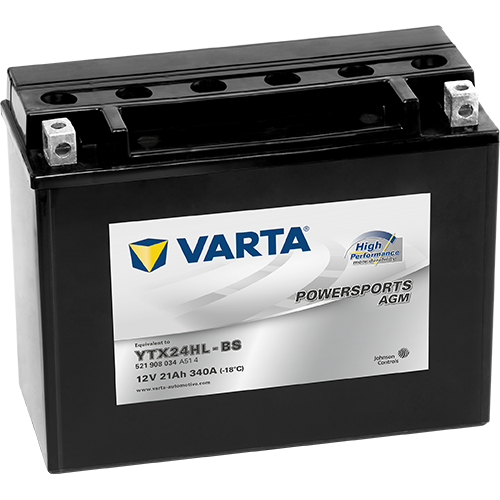 The battery range provides reliable starting power, exceptional supply energy and a robust construction to withstand vibrations. 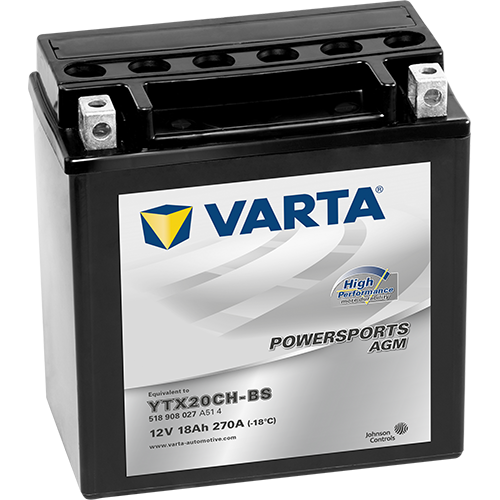 VARTA Powersports AGM High Performance batteries feature up to 20% more cold cranking power. 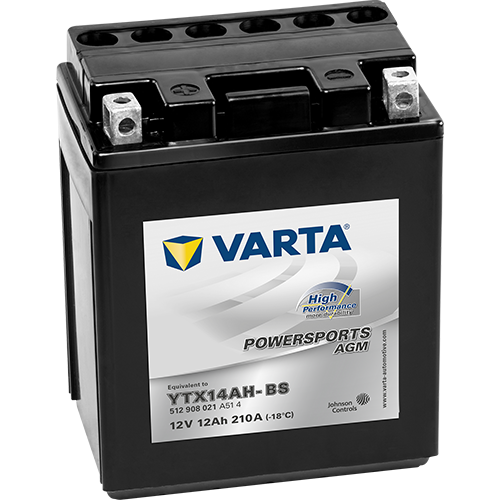 AGM technology is the optimal solution for motorcycles with increased energy requirements. 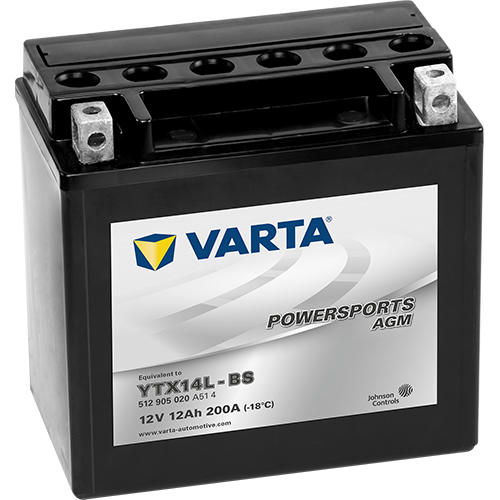 In addition to the better cold start performance, the AGM batteries can be mounted with an installation angle of up to 45 degrees. 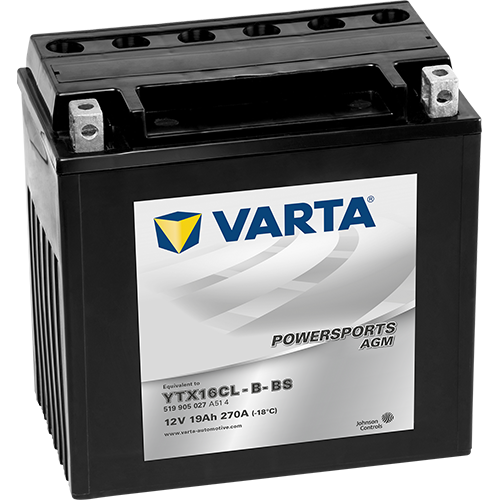 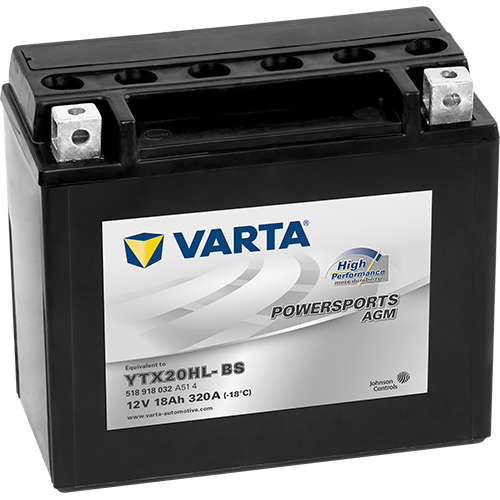 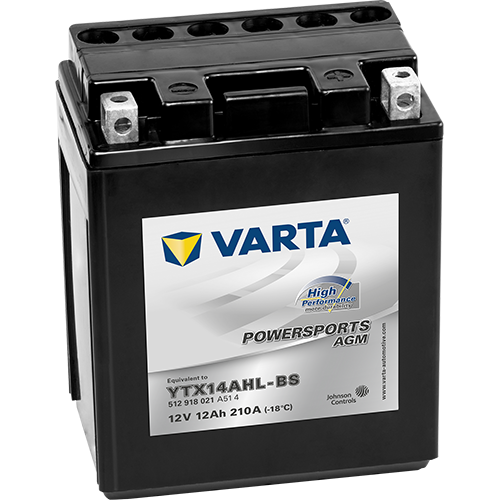 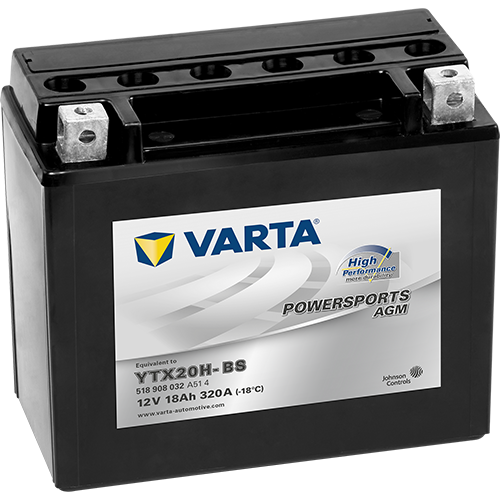 The VARTA Powersports AGM High Performance batteries are ideal for storage thanks to the acid pack supplied separately.